Welcome home to up and growing North Port, FL! This home is waiting for your special touches to make it your own. This home sits on an oversized, fenced lot so there is plenty of room for entertaining, backyard games, furry family members and even room for a pool if you decide to have one. There is 100 feet of freshwater canal waterfront as well. This one has the desirable 3 bedroom/split floor plan. 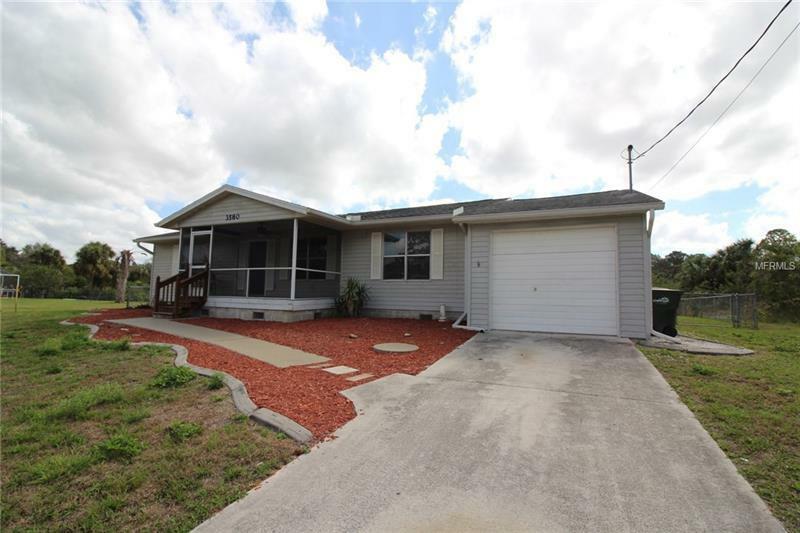 There is also a screened front porch so you can sit outside and enjoy the Florida lifestyle. BONUS - there is a large bonus room to use for entertaining, game room, media room, craft room, gathering room or however you like (has a fireplace too) and it leads to the wood deck where you can grill year round. Don't miss out on this one!